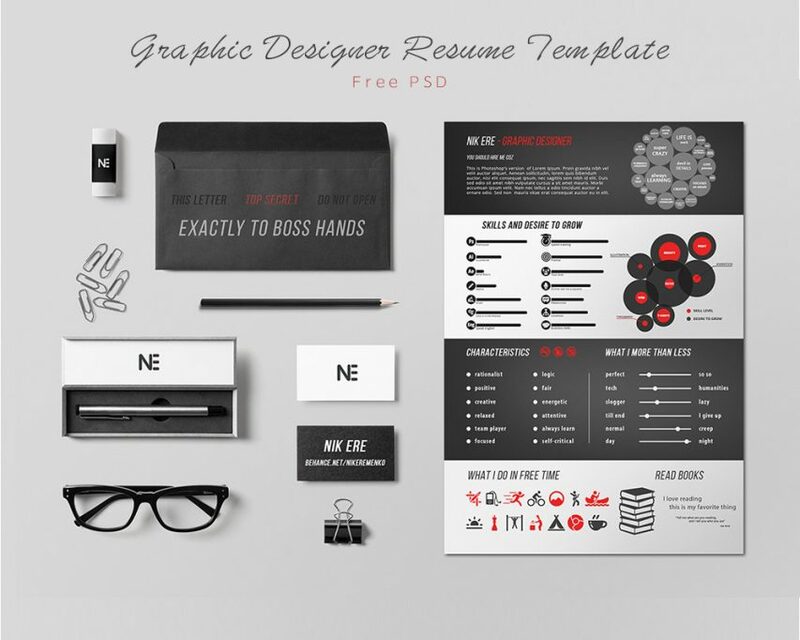 Download Graphic Designer Resume Template Free PSD. Here’s a free resume template you can use to create your CV and designed specially for Graphics web and UI designers. This Graphic Designer Resume Template Free PSD has a clean design with a well balanced content and layout for all kind of resume template. So if you want to give your resume another layer of awesomeness this Graphic Designer Resume Template Free PSD is right for you. The psd is also well layered and named accordingly. Hope you like it. Enjoy! One Response to "Graphic Designer Resume Template Free PSD"